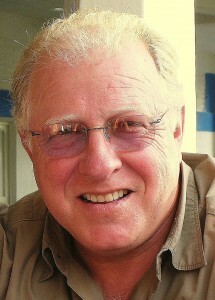 Jerry Roberts is a California journalist who writes, blogs and hosts a TV talk show about politics, policy and media. Former political editor, editorial page editor and managing editor of the San Francisco Chronicle, he serves as student adviser for the Daily Nexus newspaper at UC Santa Barbara. He is the author of “Never Let Them See You Cry,” a biography of Senator Dianne Feinstein. We started Calbuzz as a Google Blogger and after four months developed a more sophisticated web presence. To create the new Calbuzz site, we recycled and remodeled the award-winning My California banner (the first collage of iconic pics from around the state) that the Schwarzenegger administration had tossed aside; asked our web designer, Patrick Wilkes, to radically modify a WordPress magazine theme and moved from Blogger over to Definition LLC? in San Francisco as our web host. In the summer of 2011, we moved the site to Media Temple, based in Culver City.